Perhaps the single best thing that can ever happen to your city, just happened to mine yesterday. What is this amazing thing I'm talking about, you ask? 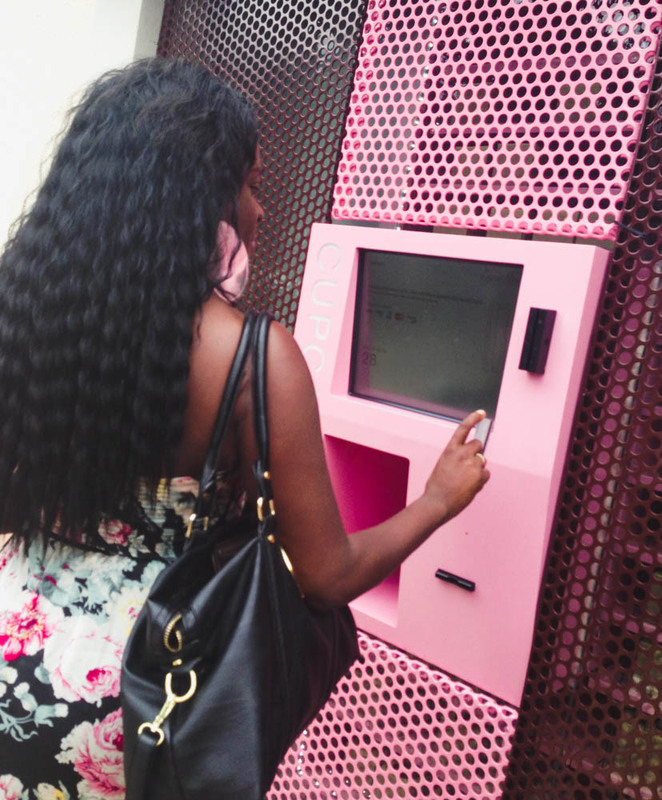 24-hour Sprinkles cupcakes coming from an ATM machine, that's what! I hadn't had a Sprinkles cupcake since it was a part of my Valentine's Day gift back in February. I figured the opening day of the ATM was a fine time to enjoy another. After a little wait in line, I stepped up to the pretty-in-pink machine, picked my flavor, slid my card and out popped my cupcake. It probably took a total of about 30 seconds. Fastest cupcake service of all time. To celebrate opening day, the people at Sprinkles added gift cards into 19 of the cupcake boxes, randomly. I didn't get one of those (womp, womp), but my red velvet cupcake was prize-enough, am I right? A nice man with a giant camera and a NBC DFW cap on his head was there doing a piece about the ATM and I made sure to get into the line of the lens for a few moments. Summer shades over my eyes and all. Around the 6:00 news, Coach and I watched the whole thing until we saw me at exactly 6:27. We yelled with excitement and there was definitely a high-five or two. I'm practically a celebrity, I tell you. Oh, to be on the local news! 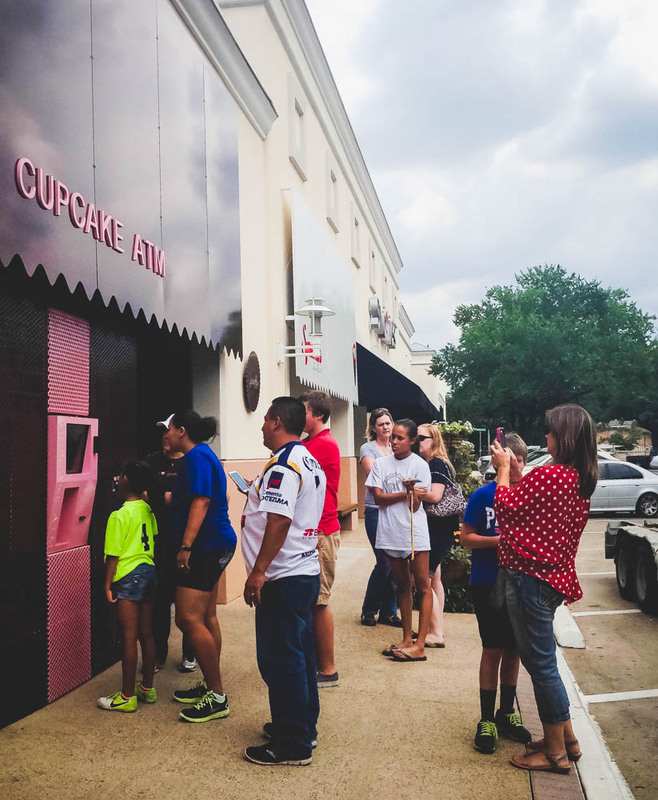 If you live here or plan on visiting Dallas anytime soon, be sure to check out the cupcake ATM. It's really cool to use at least once. Plus, it is open 24-hours, so it'll be one of the few places to get a quality cupcake at 2 a.m...you know, when your sweet tooth acts up.